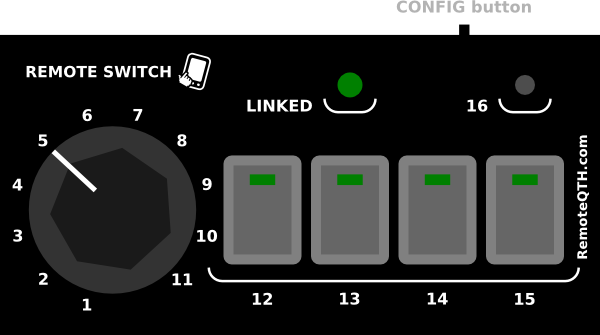 1-16 - green LED signalized switched relay. white square - sign defines the type of equipment. 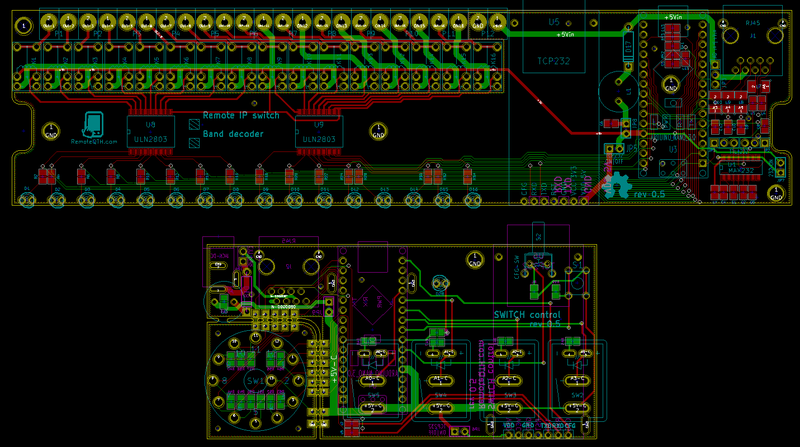 USB - +5V DC POWER supply, or upload arduino firmware (needs open jumper JP5). ETHERNET - RJ45 LAN connector. 12-15 - four rock switch with LED. latency (delay) same as LED OFF time. CONFIG button need enable in firmware and preset string. now wait to the redirection of control - indicated LINK LED on. 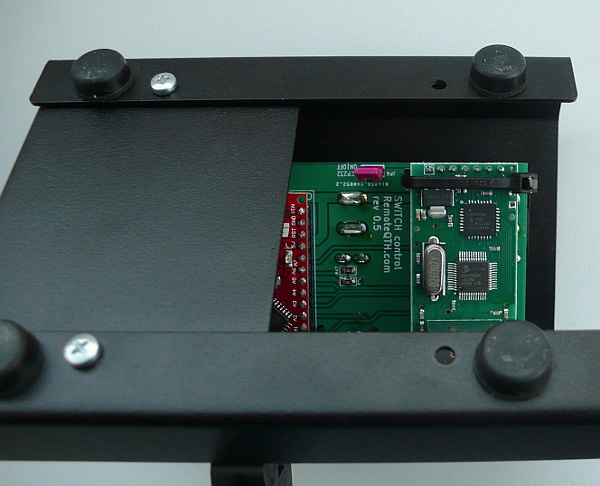 Ethernet module can be configured from a win software, which you can download from our website TCP232-T24, or directly from the manufacturer. Baudrate defines the speed at which communicates Arduino module - default 9600. This picture shows default settings ethernet module, similar settings will suffice for the local network, or VPN tunnels. 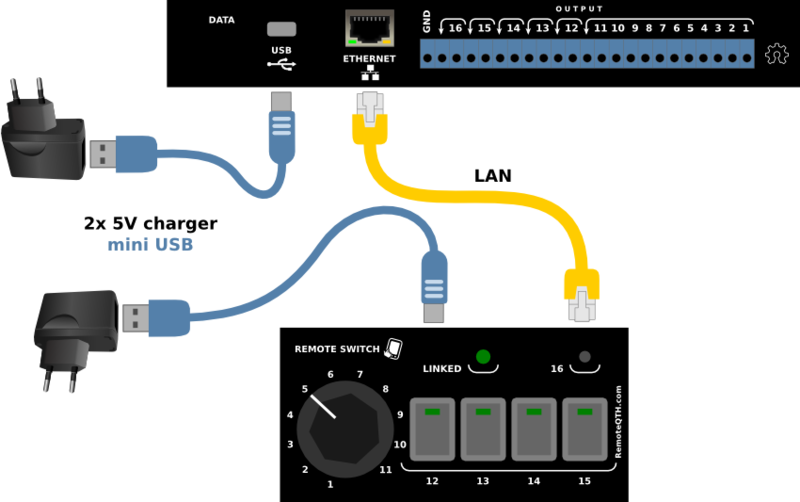 Connect over the internet with a public IP address remote side, need change other IP settings, is depending on individual networks, public IP address and port redirected. 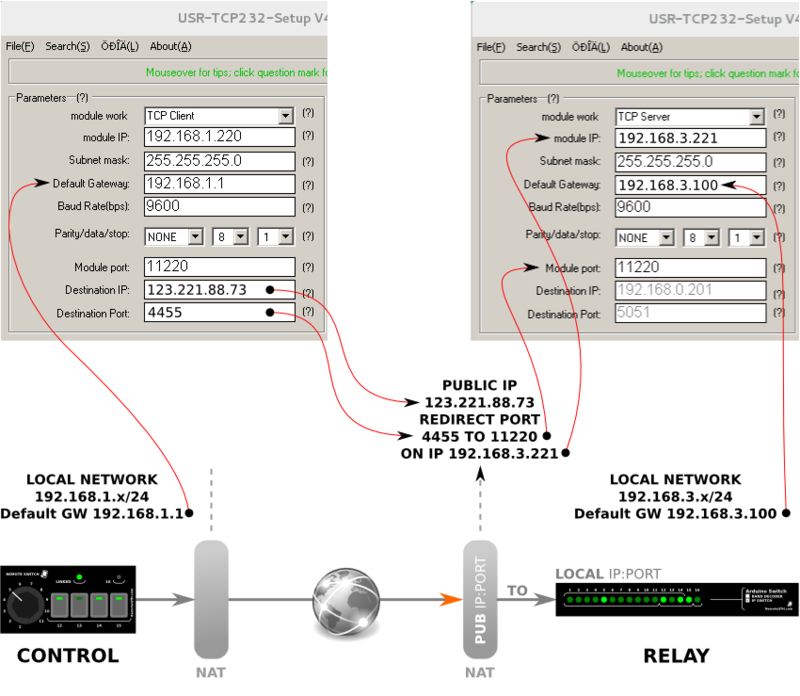 The difference between using NAT and VPN tunel connection shows next picture. For beginners Getting Started with Arduino. After upload set back opened jumpers. Source code contains several settings that affect the characteristics of IP Switch. #define CONTROL - uncomment activate code for control, comment for relay board. #define controlCFG - uncoment enable reconfigurable network - need set configure array (only control). #define delayC - default value 2000 ms - time, are waiting for answers, after timeout linked led OFF, and resend data. #define delayR - default 10 second - determines the time, after which the relay parking. #define parking - default output 11 - 1-11 parking output after timeout - optimally for grounded antenna. 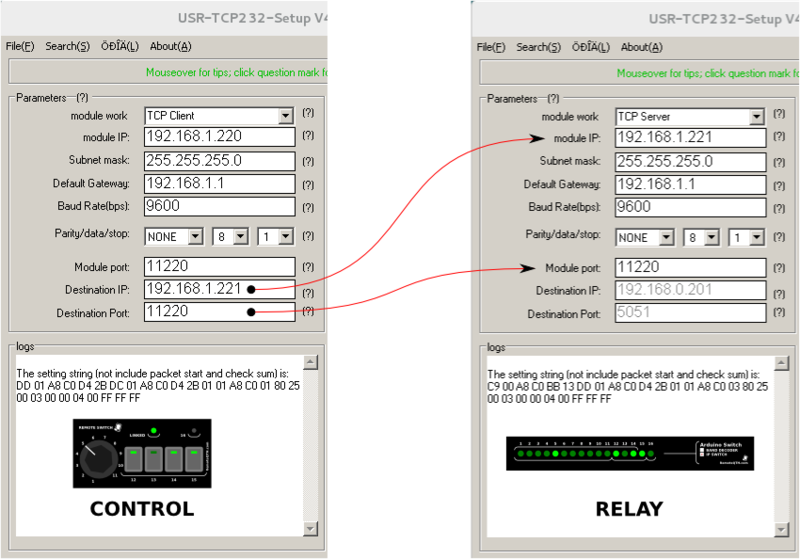 for reconfigure network from control box must be read from oficial config software. After sets all value and press Setup via NET software set the ethernet module and show in left bottom window configuration string containing thirty-one two-digit hexadecimal digits - these numbers will add a 0x and transcripts to the program source code. We have a total of eleven pre-set configurations ethernet module.